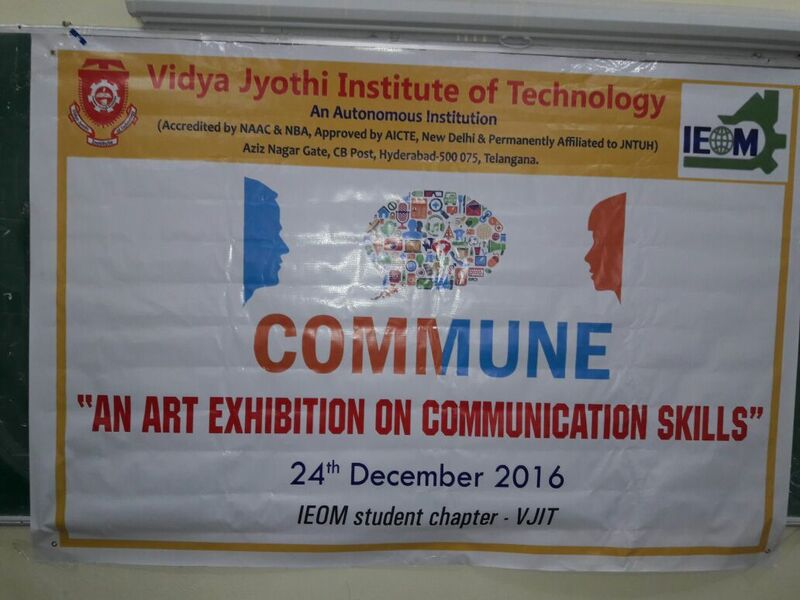 INTRODUCTION: An Art Exhibition was conducted on 24th December, 2016 titled “COMMUNE – AN ART EXHIBITION ON COMMUNICATION SKILLS”. The exhibition was graced by the Faculties of the English Department and the Placement Department. The Judges were the faculties and the Faculty Advisor and the Principal – VJIT, who took the final decision after a long discussion. BEGINNING EVENTS: The workshop began with a small introduction of the IEOM Student Chapter, which is introduced for the benefit of the students, by our faculty advisor. The main aim of the event was to make people aware of the different attributes that developed in several ages and also various means of communication that we use now and in different arenas. The event was successful with several students displaying their ideologies in the form of charts. They not only covered means and evolution of communication but also the different factors that involve communication and how to build these skills as a personal trait and also to be socially interactive. THE MAIN EVENT: Considering the core beliefs of IEOM on Communication, the students reflected these in their artwork. The judges first informed the rules to be followed during the presentation. The students then presented their works to their judges. All these presentations were recorded. The exhibition’s artworks ranged from portraying the basics of communication to the advance levels of communication. CONCLUSION: The results were declared after all the artworks were presented. The exhibition ended with prize distribution by the judges to the winners of the Exhibition under the IEOM Student Chapter. 1st Prize: N. Bindu and Sai Akhil for “Non-Verbal Communication”. 2nd Prize: Harsh Sharma for “Evolution of Communication”. And a Special prize to G. Sarika and B. Harshitha for her poster “Speak to Relish”. 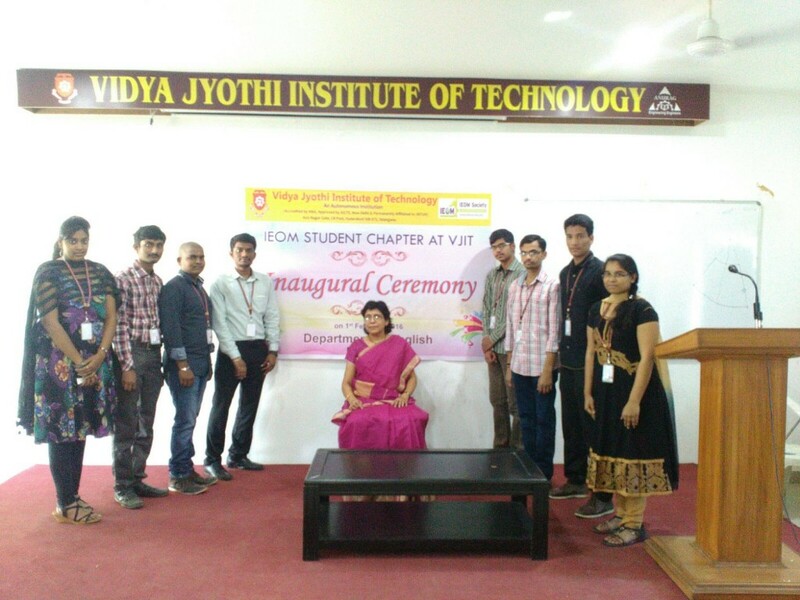 The exhibition was conducted with active participation by the students and staff collectively. The workshop was graced by the faculties and by Dr. Siddhartha Ghosh, Head of training and placements and also Head of CSE Dept. The keynote speaker of the day was Mr. Zia-ul-Haq Husamuddin, who is an incredible person equipped with skills and expertise in the field of training students for their career. The workshop began with a small introduction of the IEOM Student Chapter which was introduced for the benefit of the students. The winner of the Creative Writing Competition, Harsh Sharma and the other student members gave their experiences of how this chapter had helped them in knowing various perspectives. The topic for the competition was “Technical Students Problems in Developing Communication Skills and Some Possible Solutions”. Dr. Siddhartha Ghosh, Training and Placement Officer, who is a dynamic leader and professor, utilised this platform for expressing his views on how a candidate can build his future if he/she knows the right track and is working hard to achieve goals. He also congratulated the students for their participation and thanked Dr. M. Pratibha, Faculty Advisor of IEOM Student Chapter, for organising this workshop. He also introduced the Chief Guest and Trainer of the day, Mr. Zia-ul-Haq Husamuddin and welcomed him for further events. Mr. Zia-ul-Haq Husamuddin, Editor, Movie Director, and Soft Skills Trainer is a person with extraordinary qualities of a leader and has expertise in the field of Soft Skills Training. He had been training students since 14 years and he also worked as a recruiter for an MNC. Body Language: He first explained how our body language leaves an impact on the recruiter when we go for an interview. The words “First Impression is the Last Impression” were aptly defined by him. Body Language is significant in effective communication. Every student was then called on the dais and asked to self-introduce themselves. He corrected the students on their weaknesses and gave his valuable feedback. Then he spoke about “eye contact” which is important to showcase one’s confidence. He also explained how we should manually grasp control and actively become more observant, because you start to understand what you project with your own body language. The relevant body languages is all about evaluating the situation and adjusting to feel natural and comfortable in it. Do’s and Don’ts during an Interview: The next part of the training during the workshop (for an interview) was how the HR Interview takes place. Being a HR Interviewer himself, Mr. Zia-ul-Haq Husamuddin taught about the common mistakes that the applicants make during an interview which makes them nervous and leads to problems during the HR Rounds. Role Play: The trainer then divided the students into small teams and asked them to present a Role Play which would be on a specific topic of their choice. The students actively participated in this and then he gave his feedback and correction. Mr. Zia-ul-Haq Husamuddin ended the training with a valuable suggestion emphasising on the importance of work and quoted a small quote from the Bhagavad-Gita on the same. Mr. Zia-ul-Haq Husamuddin was given a token of appreciation by Dr. Pratibha, Faculty Advisor and Dr. Ghosh, T&P officer, for giving his time and advice to the workshop and students. 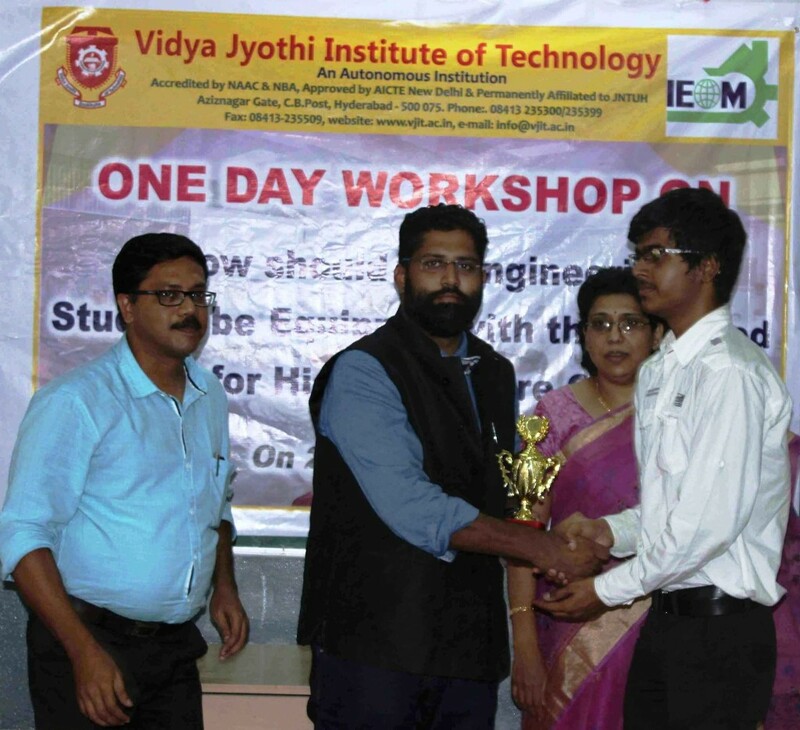 The workshop ended with prize distribution by the trainer to the winners of the various competitions under the IEOM Student Chapter. The workshop was conducted with active participation by the students and staff collectively.